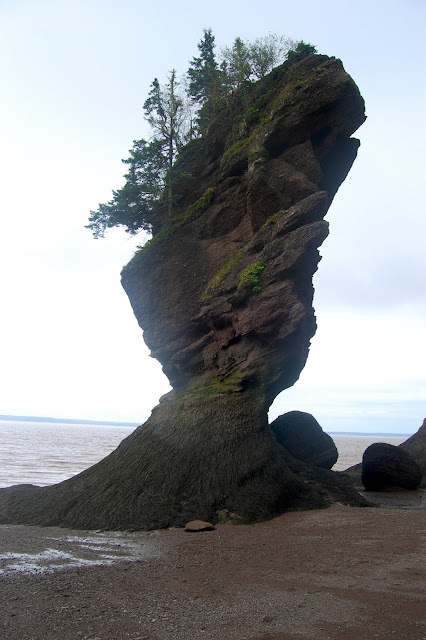 On our first day in Saint John, New Brunswick, we took a day trip out to Hopewell Rocks Provincial Park on the Bay of Fundy. 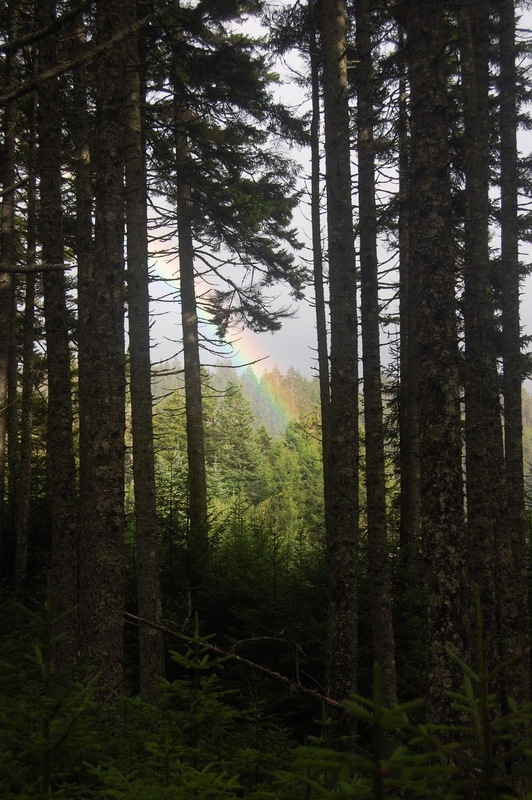 We also stopped at Cape Enrage and Fundy National Park. It was a full day of hiking and sightseeing. 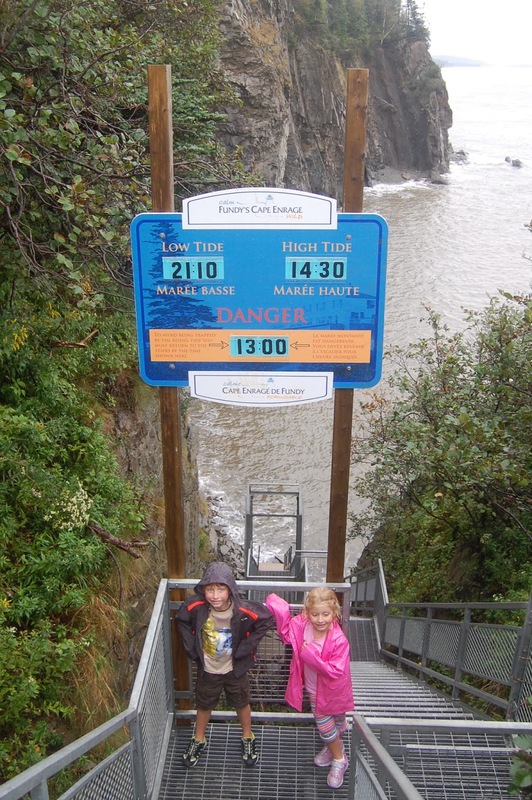 Cape Enrage stairs to shore "Must be back to stairs by 1pm to not get trapped by tide"